Andy Warhol 'Zircon' Retro psychedelic daisy dress. 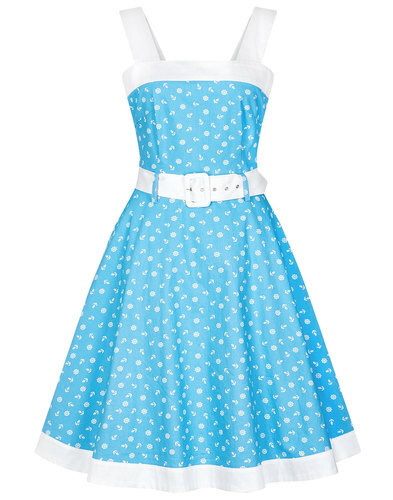 A gorgeous Retro dress in a refreshing colour palette which will look amazing this Summer! Andy Warhol was known for creating abstract designs of everyday things and in the 1960s he decided to approach the daisy print transforming them into Retro 60s psychedelic coloured blossoms. Warhol mass produced silkscreen images of these daisies and drenched them in a range of stunning colours. This same technique has been displayed in the 'Zircon' dress, featuring the daisy print in a striking blue and pink colour way. 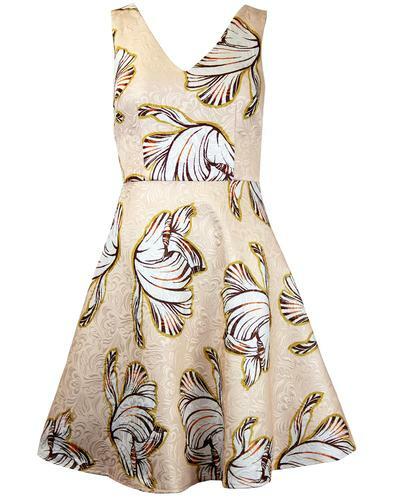 Andy Warhol 'Zircon' Retro psychedelic daisy dress in white. The sleek white backdrop makes this stunning daisy print stand out perfectly. Sleeveless. Zip through to front with metallic zip. 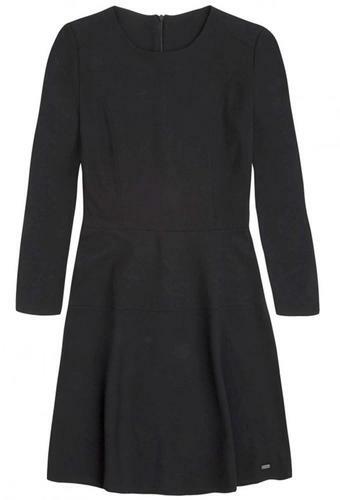 Classic 1960s shape dress. 60s inspired psychedelic daisy print in a stunning blue and pink colour way. 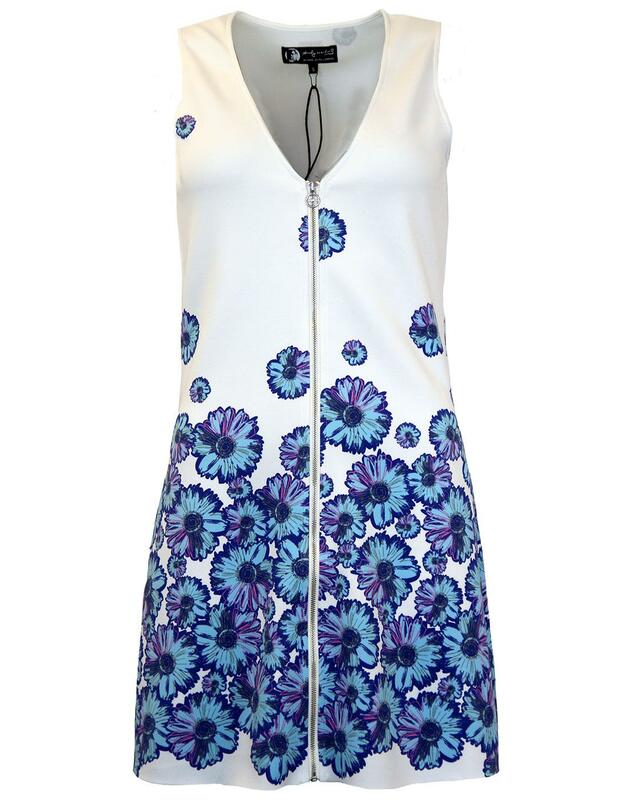 The daisy print is positioned to the bottom of the dress with scattered prints throughout. Key Points: Andy Warhol by Pepe Jeans 'Zircon' dress with psychedelic daisy silkscreen print dress. Composition: 95% Polyester and 5% Elastane.